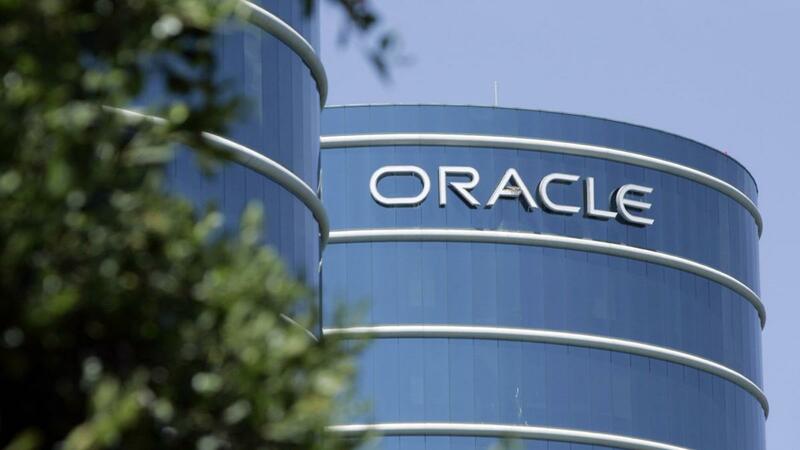 SAN FRANCISCO/WASHINGTON: Oracle Corp. (ORCL:US) won an important case against Google relating to the use of unauthorized Java code in its Operating System Android and plans to sue them for $1 Billion in damages . On Friday, the U.S. Court of Appeals for the Federal Circuit in Washington ruled the case in favor of Oracle, stating that Oracle can indeed copyright the Java’s APIs. The case which has been going on since Oracle’s acquisition of Sun Microsystem in 2010 had initially been in favor of Google, when the San Francisco court ruled that Java is considered to be open source and Google had the rights to use the claimed code in its operating System. But Oracle took the case to the US Court of Appeals for the Federal Circuit, Washington, claiming that Java is intended to be free only for developers and not for applications of commercial use. Google’s Android OS clearly falls under the latter category. This current result reverses the decision by San Francisco ruling and points to Oracle that they can go ahead and claim copyright for certain Java codes. It is to be noted that initially Oracle sued Google for $6.1 Billion in damages in 2010 and it has come down to just $1 Billion now. Obviously, the ruling does not come as a favor to Google as one Google’s spokesperson expressed his displeasure in a statement,” We’re disappointed by this ruling, which sets a damaging precedent for computer science and software development, and are considering our options”. This means that Google might be inclined to take the matters to the Supreme court to try and reverse the ruling, but according to Intellectual property expert Mueller, the rulings of the Federal Circuit court is as good as Supreme court and is absolutely consistent. Google will appeal ad infinitum; however, Google knows it was in the wrong. Good luck with Android, Google. I sometimes wonder if the courts aren’t in over there heads deciding matters like these. I mean, come on, this programming stuff is a world unto its own. I think Google still has a shot. The court decision was on one fine point. Can a set of instructions and procedures used to create code be copy writable. The answer is yes. Makes sense to me. But here is the problem for Oracle. The constructs in Java have all been used in other languages and other systems, or were conceived in students doctoral thesises. Basically they are prior art or copy writable by someone else. Maybe 5% of this language is actually something new and that be new only in combining the other ideas. You can’t take a line from Shakespeare and Milton and Virgil – put them together and claim they are your original work. So Google is just going to have argue the next argument. Oracle realizes this which is why the dropped the $ amount of the suit – they are hoping Google doesn’t want to go through the pain and will settle for a smaller amount. Funny…An entire industry that relies on government supplied monopoly rights….Well if the industry is ran by the establishment, it makes sense that it is necessary (so they can retain their relative positions). I think it is about time we dumped Java and developed a new platform that is better suited for dynamic operating systems like Android. Maybe this will be the first push to returning Java to the coffee cup. Patents either mean something important or they mean nothing at all. Good for Oracle and Samsung should pay out billions to Apple. It must be a phenomena of the tech world that only their patents means nothing, while in the pharmacy industry, patents are ‘iron clad’ enforced. Seriously??? If a pharma tried pulling some BS like patenting the “pill” in 2014 and then sue its competitors it would get slapped down. If GSK tried to patent a rectangular bottle with rounded edges and then retroactively sue Takeda for its packaging they wouldn’t even get to court. Patent rights are for 20 years on “new” concepts. I say “new” because it means the first to file the patent, not the first to develop the concept (since concepts are never sole derivatives and are always the result of group activity). I found a patent for growing plants with leds and hids. All the guy did was file for an idea that was already being employed on a massive scale. So if you buy a high pressure sodium and an led system, grow plants with both light fixtures in the same grow space, and make money, the guy can claim ownership of your labor. The payment has to be valid and to be valid it can not be based on prior art. I can file a patent to wash socks using a washing machine and it will be granted assuming no one else has done the same – however the patent wouldn’t stand up in court because it is prior art – everyone does it. Thanks Fed for once again giving the seal of approval to patent trolling. And a billion dollars?!? Shouldn’t the damages be somewhere in the realm of what the supposed damages incurred? Oracle’s original suit was for a billion dollars more then what they paid for Sun for. And a billion dollars is more than the entire java ecosystem! Java ecosystem itself is worth way over a billion dollars. Android alone is a multi billion dollar industry and that’s not even talking about every other application of which there are hundreds of thousands. Have you ever heard if hadoop ? Every machine learning powerhouse uses hadoop and guess what, that’s java ! Its the “Feds” not the “Fed.” The Feds are the actual Federal Government while the Fed is the Federal Reserve (our national quasi-private bank). And Oracle just shot them selves in the foot, now they have set the precedence that anyone that uses Java to write an application they wish to sell might find they have infringed a copyright held by Oracle. Every Java based developer now needs to go out and review their code base just in case they are using one of these non-open libraries in their product, remove it, and expend money-resources finding a way to work around it. I can see why Microsoft supported this decision, it just strengthens their platform for development in the industry and at the same time weakens the biggest competitor in the mobile space. Well Google didn’t infringe by writing software in Java. What they did was created their own back engine and byte code and used Java APIs as the front end. I do tend to disagree with the court – much of Java is prior art taken from C++, Ada, Algol and even Fortran. Can you really copyright classes and while loops? Oracle won the battle that they can have a copyright – Google could still win by showing much of the Java api was copied from other sources and the extensions were copied from students doing doctoral thesises. Therefore they are relying on prior art and other folks copyrights and claiming them for themselves. As if Oracle could have ever made a billion of it. Or ever did what Google has. Just a patent troll. You only see the Google glitter that they plaster about the consumer, you never see the or know the influence of the high tech companies that make the Internet work in the business world. Oracle is a Fortune 500 firm that carters to the US and world business community through the flawless functioning of its database. Just about every company uses Oracle (or IBMs DB2 or SAS) to run their business operations to keep track of orders and merchandise fulfillment. How do you think your Amazon order is taken, processed and fulfilled? A database does this! Same thing for your banking transactions and electronic check out at the store. Oracle is a great company, but one that the public does not see readily as its work is done ‘behind the scenes’ from the public. Google can disappear tomorrow and I can go to Bing or Yahoo; if Oracle or IBM disappears tomorrow, no Internet or other business gets done! So you can tout that silly Google Glass and search engine to your own delight, just appreciate the fact that there are many other companies more important than Google, which I dare say that I can easily live without. And none of that fluff addresses his point. This was blatant patent trolling. What do your comments have to do with anything? Java started at Sun, not Oracle. Oracle is taking something that should be forever free to all and charging for it. Now this unique product is an Oracle monopoly with Oracle’s grimy hands in everyone’s computer. Oracle makes the vast majority of its money by overcharging ignorant business executives by as much as it feels it can get away with (as do many other business software companies). Plus, Amazon depends more on open source databases than commercial ones (for good economic reasons); I doubt they’d be crying if Oracle disappeared tomorrow. If Oracle disappeared tomorrow (hypothetical and not going to happen), other businesses would fill its gap quickly. We’d have some big corporations panicking for a short time, but that’s it. In any case, these excessive copyright and patent lawsuits hurt software consumers significantly; we’d be far better off if the defendants won, the lawsuits came to an end, and tech companies focused on their consumers and not on legal battles. If you care at all about having technology improving our standard of living, you’d be cheering for an end of the lawsuits, too. There is always Posgres and even though Oracle owns it, there is an open source fork of Mysql. The free mysql is actually the database of the internet. Oracle and DB2 tend to be used in the back office for huge companies. Oh and if Oracle goes under you can always use the Microsoft SQL DB products which are dirivitive of Sybase and also enterprise valid. What your topic has to do with Java Ali’s which only cursurly have anything to do with databases is beyond me.